As you probably know, as an avid reader of my little blog, I have an addiction to nail polish. There is no hope for my habit and I am quite aware of just how large, and at what rate my collection is growing! So instead of buying full sized polishes to feed my addiction, I saw this fab set from *Gwen Stefani's collaboration with OPI. I couldn't resist this quad of little bottles, the amazing colours will see me right through this winter to spring 2015. This kit offers everything from the gorgeous pink called 'Hey Baby' to the iridescent sheen of the shade '4 in the morning' this kit offers it all. Each bottle contains 3.75ml or 1/8 Fl. 0z of colour and I think you'd get around 10 applications from each of the small bottles. Gwen Stefani is one of the most fiercely fashionable ladies in the business, and if her latest collaboration with OPI Nail Lacquer is anything to go by, it's easy to see why. With a whole host of shades that are not only as eye-catching and punchy as the woman herself, but are also formulated without formaldehyde, toluene, DBP and formaldehyde resin, the Rock Starlet Minis are the perfect way to get part of her stunning nail collection in one place. It's a great value kit for £13.10 and would make a wonderful Christmas gift from LookFantastic 'Here'. Hey Baby (a bright, rosey pink) is a fabulous colour, and one when I first wore it I received tons of compliments on. 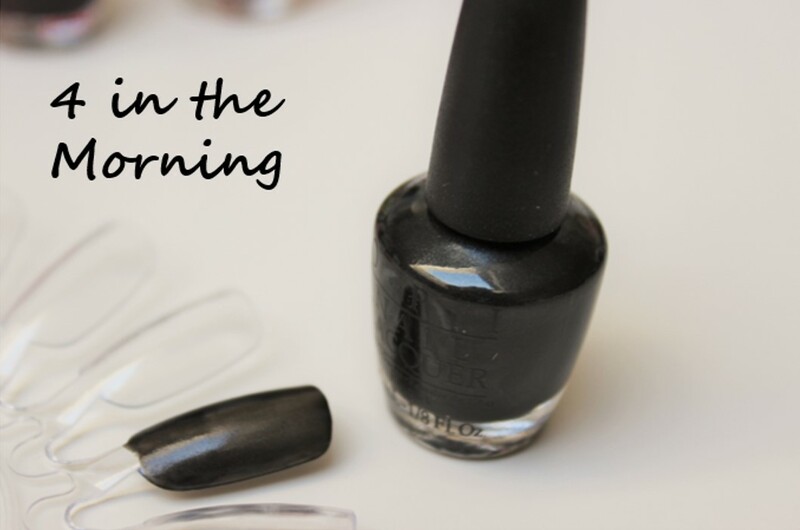 It's a cheery shade, and one that looks equally as good on the toes as on the fingernails. 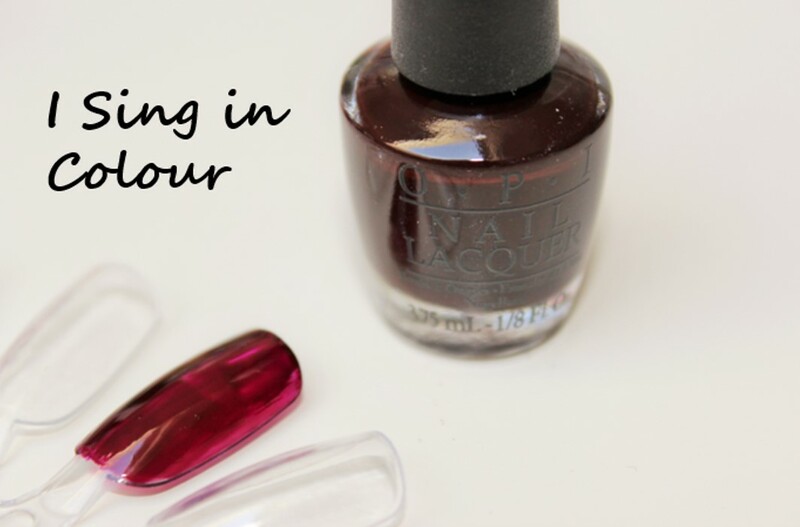 The OPI formulation means that two coats is all you need to ensure full opaque coverage. So easy to apply and a pleasure to use, is why OPI carries on going from strength to strength in the nail industry. A shade which in the picture above didn't show up to be that opaque with two coats, but I can assure you this colour provides full coverage and looks incredibly stylish on the nails. I'm not a gold glitter nail polish lover, but this shade on your ring finger, or over the top of one of the other polishes, just adds a little touch of festive sparkle. And looks very pretty indeed. And last but no means least - 4 in the Morning, (charcoal with flecks of gold) a colour which I do not have in my collection and one that I was very intrigued by. It's a gunmetal grey shade mixed with a slight iridescence. It looks fab with this seasons dark clothing choices for the winter months, and really brings out the lustre of silver jewellery too. This has become one of my favourite polishes! So that's the full kit, and I think you agree that Gwen Stefani can pretty much put her hand to anything and it will sell, and be a roaring success. What do you think of this kit for £13.10 with a saving of 10% from lookfantastic 'Here' you could break the kit up, and give each polish as a separate pressie for Christmas with some other things? 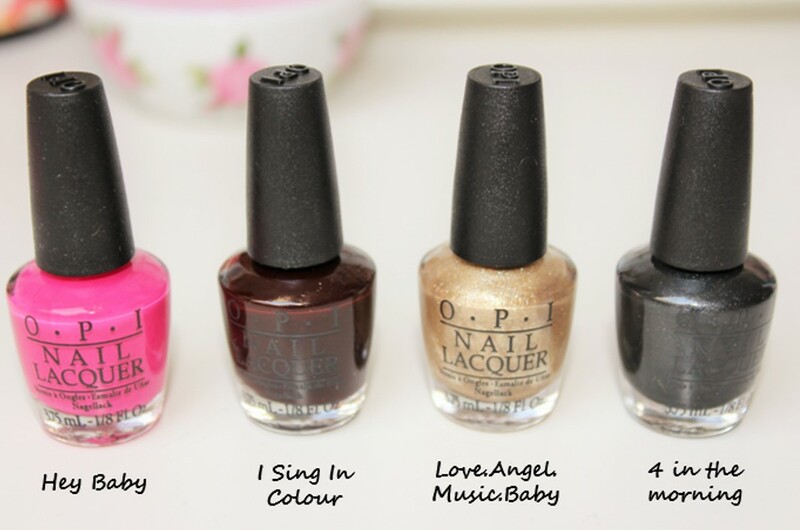 I'm going to watch more Gwen Stefani collaborations with OPI from now on. So watch this space!